All About Real Estate Auctions: 2 weeks and no calls to show my listing! 2 weeks and no calls to show my listing! I was talking to a Realtor yesterday who told me she listed a property 2 weeks ago in a nice area and a good price and has had no calls to show it. The seller is very motivated and just wants to get rid of it. I know this is not unique, but what do you do? One of the things missing in today's market is a sense of urgency for buyers to act. Sure the government tax incentive helped a little, but now what? Remember the days of multiple offers and offers that went above listing price? That sure was a lot more fun. 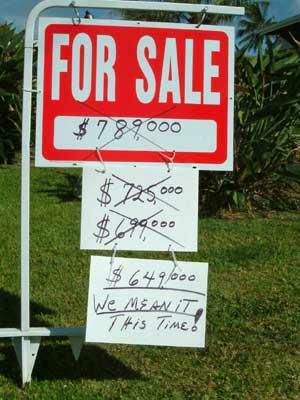 So, is there a better way to create a sense of urgency and demand for a listing? Yes, there definitely is and I've seen it work many times. It's online bidding and it involves taking a listing and marketing it in a non-traditional way. Marketing it in a way that sets scheduled open house previews with no other access (gets all the buyers in at the same time), setting a limited time for buyers to make an offer (usually 2 weeks or less), open competitive bidding so all buyers know the highest offer at all times and providing an interactive engaging online bidding experience. This is still new, but it's a lot easier than you would expect and think of the control it gives you and the value you can provide the seller who just wants to move one. You now have a solution that can get them the highest offer quickly. If you're interested in learning how you can use this strategy in your market, RSVP for our next webinar. It will open your eyes to a whole new world of possibilities! What, this isn't a seller's market? Do you hold open houses to sell land? Short sales: I need the highest offer quickly!